Join us for an exclusive after-hours pop-up event at Don’t Ask Why, one of State Street’s trendiest boutiques. The event will run from 6-8pm on Sunday, November 18th and registration is required! Join us and learn how to create stamped designs on petite metal pendants – perfect for hanging on a necklace or attaching to a chic bangle bracelet. 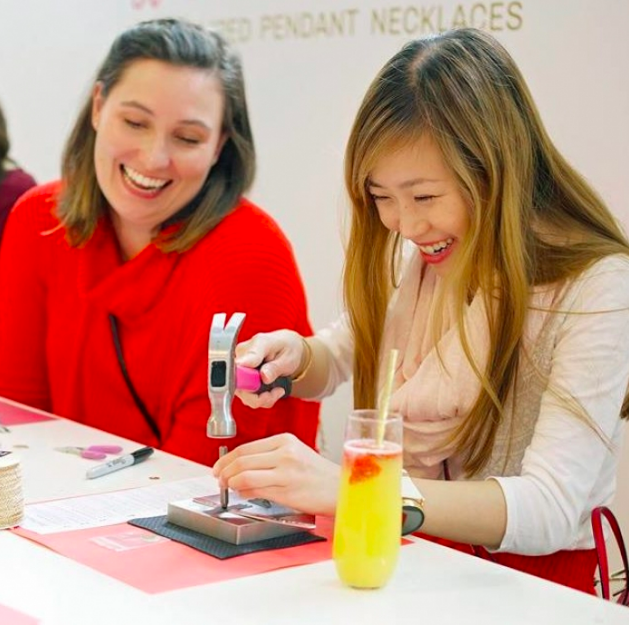 Add your initials, your bf’s name, a meaningful date, or a simple heart to create a one-of-a-kind piece of jewelry you’ll want to wear again and again. Ready for a shopping break? Enjoy an exclusive shopping discount of 25% off at Don’t Ask Why and Tailgate (valid only during the event). Plus receive a MVTEE Card for a $20 Tailgate t-shirt! Sunday Funday, indeed! Stop by any time between 6-8pm to enjoy the event. Space is limited, so RSVP now to save your spot!